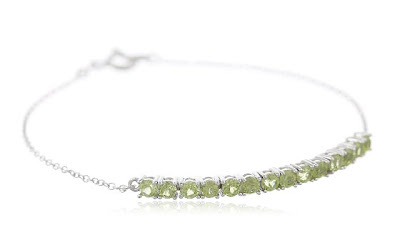 43% off the Sterling Silver Genuine Gemstone Bar Bracelet - Just $37 Shipped! The Sterling Silver Genuine Gemstone Bar Bracelet is currently selling for just $37.00 on Amazon.com! You will be saving 43% off the listed price of $64.99 with this birthstone jewelry deal. This bracelet is currently available for this price in Blue Topaz, Garnet, Amethyst, and Peridot. The Citrine bracelet is available for $40.00.